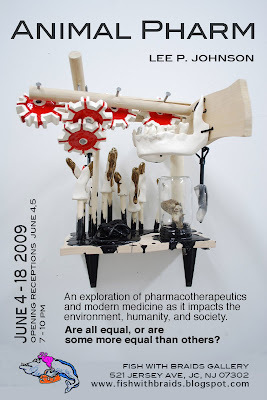 Brooklyn based artist and medical professional Lee Johnson. medical and pharmacologic interventions as humans. that it will have on humans. mediums such as ceramic, resin, prints, and digital media. serve as fixed expressions of the effects of such treatments. Are all the medicated equal, or are some more equal than others? this dusty miller plant has been potted with potting soil and a good dose of aspirin. The artist market at the Grove Street Path Plaza is coming to life! Fish with Braids Gallery!! I am also part of Arts in Action. We want to feature every week an artist, artisan or art project.